Depending on your skin’s needs a toner can brighten, clarify, balance, or even help soothe sensitivity. But with so many options, we know that finding the right one can be a challenge, so we decided to put together this handy guide to help you find your perfect match! Oh, what was that? You aren’t sure why you need a toner in the first place? Take a look at this and meet us back here. Take your time, we’ll wait. Aloe Vera Toner– This gentle, alcohol-free toner will whisk away traces of makeup and oil without stripping essential moisture from the skin. Aloe Vera has long been known for its soothing and hydrating properties. Even the most sensitive skin types will feel refreshed. Try pairing with Cucumber Cream Soap. Glycolic Acid Toner– Glycolic Acid and Grapefruit Extract gently work to exfoliate dull skin and uncover your freshest complexion. The alcohol-free formula is easy on dry skin. Seaweed Cleansing Lotion– Mineral-rich Seaweed and naturally clarifying Witch Hazel come together to restore balance and address the concerns that come with combination skin. Oily areas will feel thoroughly cleansed and dehydrated areas nourished. If you feel like your skin has multiple personalities, this toner is for you! Try pairing with Seaweed Cleansing Soap. Cucumber Cleansing Lotion– Amino acids found in Cucumber Extract work to refine the skin as you banish excess oil from the T-Zone. We always look forward to using this invigorating Cleansing Lotion first thing in the morning. Try Pairing with Enzyme Cleansing Gel. Special Cleansing Lotion “C”– Cucumber and Sulfur purify pores and target blemishes without overdrying. Use twice daily to keep troubled skin at bay. Try pairing with Acne Facial Cleanser. 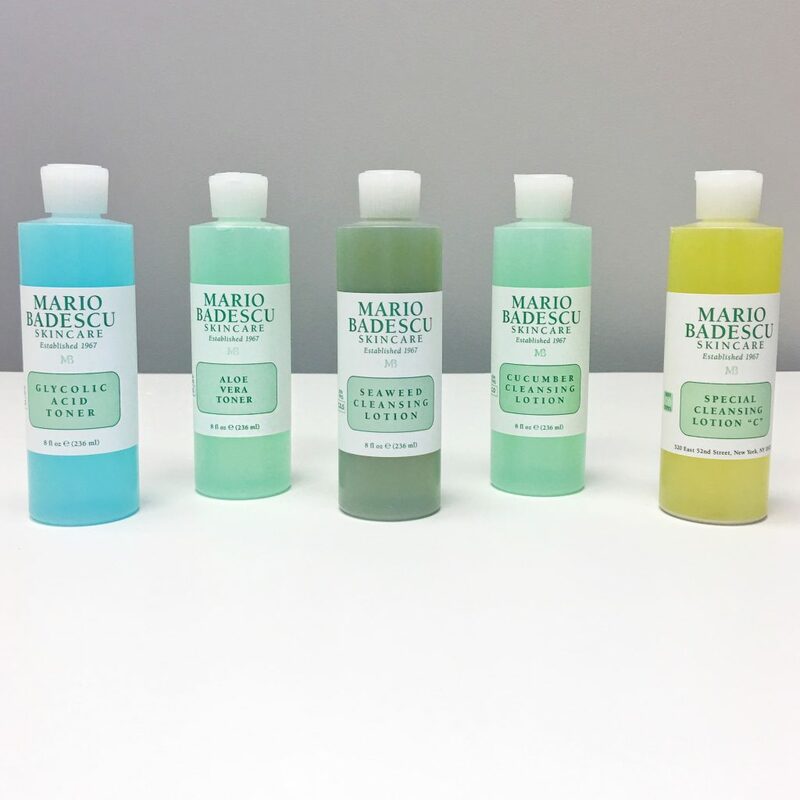 Which toner is right for your type?